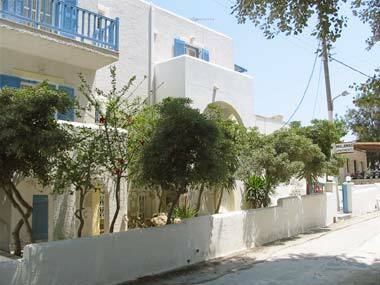 We welcome you to the Island of Paros. The island that will bewitch you with its natural beauties, captivate your heart with its unique sunset and give you unforgettable moments of fun and pleasure. 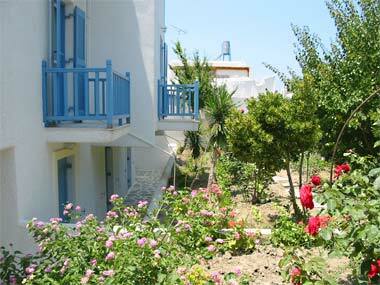 In Parikia, the capital of the Island we have build a complex of furnished apartments and private rooms based on traditional cycladitic architecture and surrounded by beautiful gardens. The complex is located just 60 meters away from a sandy beach where you can spend your day waiting for the magnificent sunset. 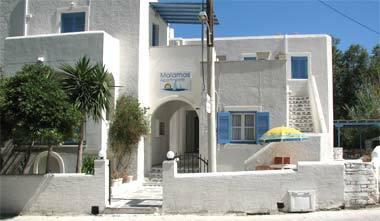 We are only 400 metres from the centre of the town where you can shop in the famous old Market of the town and enjoy the intense nightlife. 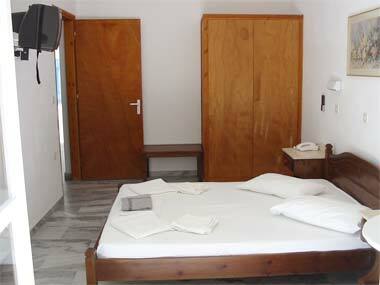 The complex consists of 6 one-room studios, 6 two-rooms apartments and 5 private rooms. 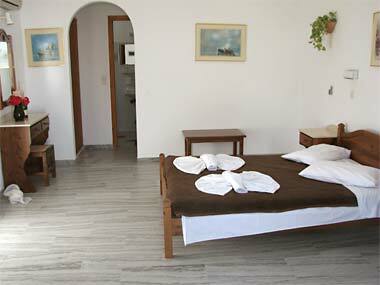 All have spacious rooms, are comfortably furnished and finished with the famous Parian marble. 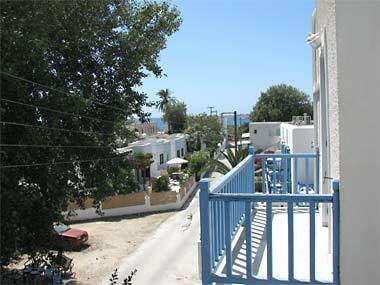 The studios and the apartments are equipped with kitchen and refrigerator, private bathroom, air-conditioning, TV, large verandas and patios, telephone and to ensure the safety of your valuable belongings, safe deposit boxes are also available. Fax and other telecommunication services are also available from our reception desk. 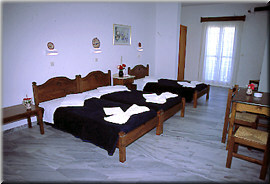 In order to ensure the family atmosphere we clean the rooms on a daily basis. 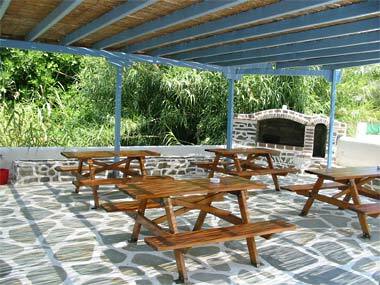 During the hot days of summer you can enjoy breakfast or dinner in the tranquillity of our cool backyard, among friends. 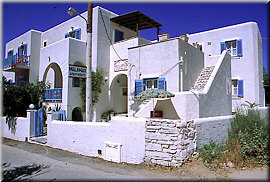 If you are looking for quality in a family atmosphere, we will be glad to accommodate you.